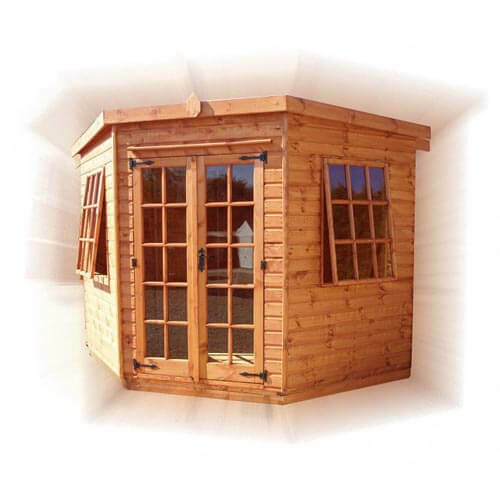 For a corner summerhouse which is suitable for smaller gardens, this is the choice for you. Featuring classic aesthetics and the high-build quality you expect from GSG Buildings, the Georgian model can complement any garden. Sizes range from 6ft x 6ft through to 8ft x 8ft, allowing you to find the right size for your garden. Enjoy the summertime in comfort with double doors and side windows, which give great visibility. Even during the colder months, you can enjoy your garden in comfort.